It seems that Doug Polk is not going to play poker anymore. The evidence for that is his latest YouTube video that he posted recently on this platform and made some of his fans very sad. After he made a discussion about $10 – $10,000 Bankroll Challenge, he stated that he did not want to play poker anymore. In fact, Polk added that it was a closed chapter of his life and that he had had a very good time playing poker on various tournaments. Polk went on about the fact that poker was amazing and that people can learn so much and still manage to earn a lot of money. At one point Polk state that his enjoyment in poker stopped at one point. He said that it had suddenly started to feel like work to him rather than entertainment. The most interesting thing about it is that Polk is only 29 years old. However, it does not mean that he is a newbie to this game. In fact, he has been an active poker player for more than ten years – and a very good one, many might add. However, he was not the first in the world of poker to step out of the game at an early age. In fact, some of the legendary players such as Vanessa Selbst and Andy Frankenberger also announced at one point of their lives that they were not going to focus on that card game anymore. 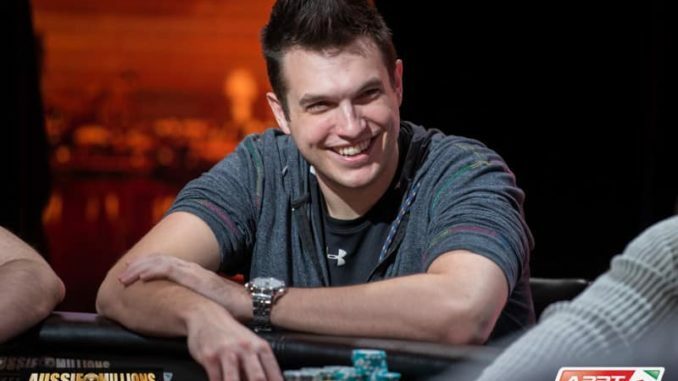 Both of these players focused on different careers in their lives, and that seems to be the case with Doug Polk as well. As a matter of fact, he is currently very interested in cryptocurrency and makes a lot of videos that deal with some of the mainstream topics. He does that pretty well and is building a number of subscribers. However, Polk added that he was not going to quit poker forever, never to touch cards again. He stated that he would probably play it rarely and just for fun. Furthermore, Polk did not completely exclude the option of returning to this game one day. He added that maybe at some point, poker would be something that he would want to return to. However, at the moment he does not want to contemplate about the future and just left that possibility open – he did not want to shut all doors on poker. Also, he refused to call this action a retirement. Fedor Holz also announced retirement from poker but then continued on playing various events. Polk stated that poker was very easy to return to if he ever decided to change his mind. Polk started his career as an online poker player where he managed to earn millions of dollars. In 2011, he decided it was time for him to go live and entered the land-based tournaments, facing some of the biggest of all time. His winnings from live tournaments at the moment are $9,454,865. The Best Poker Players From Russia – Who Are They?